Mouline knit optic with jersey back, a fitted hoody style with full one way zip with "B" pull. 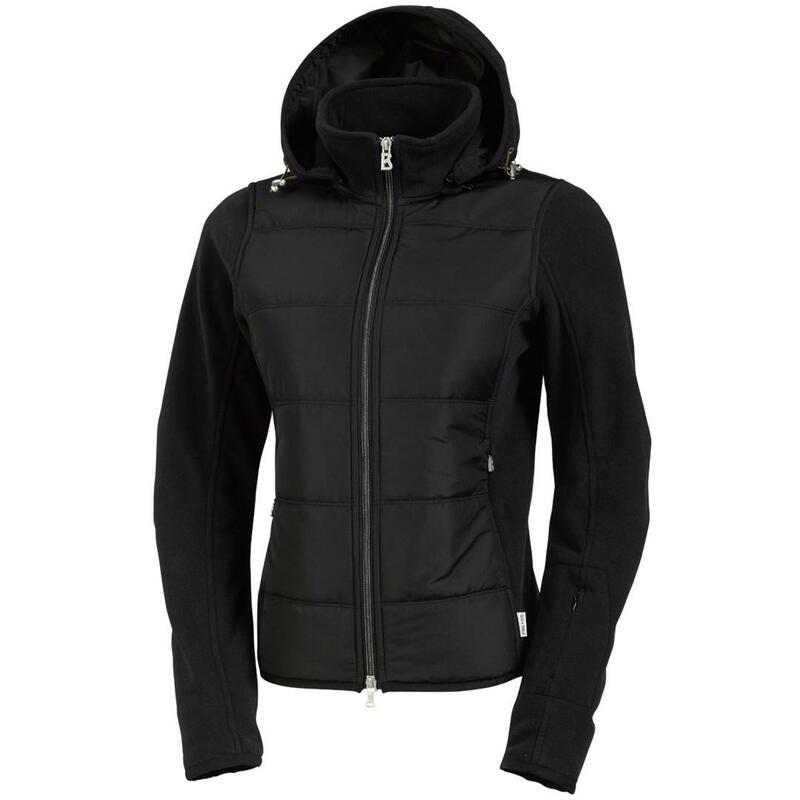 2 hidden zip up handwarmer pockets, 1 hidden zip up sleeve pocket with a stand up collar. 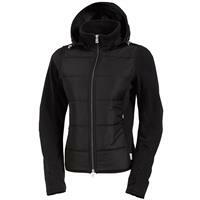 Quilted nylon front panel, logo patch on left sleeve, soft nylon detachable hood and is a wool silk blend.